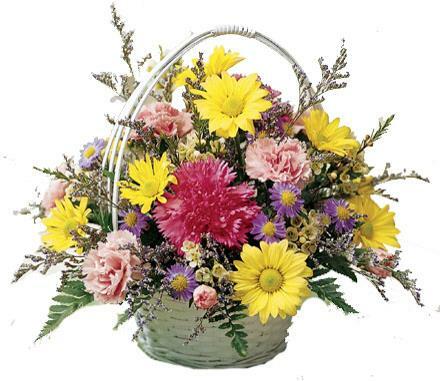 This sweet basket is an excellent way to let someone know you are thinking of them. 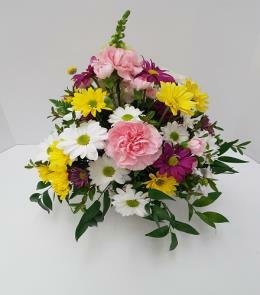 The arrangement features carnations, daisies, monte casino and more. 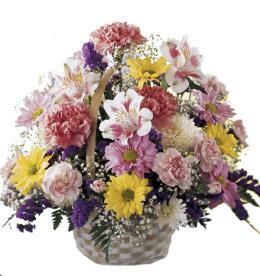 Florist Notes: Send flowers online today with Brant Florist. 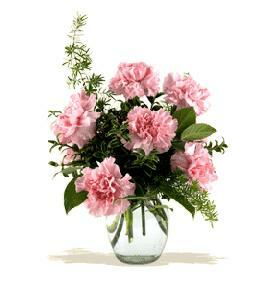 Suggest you order a large full size card for your message to accompany this fresh flower centerpiece. Your message will be hand written. 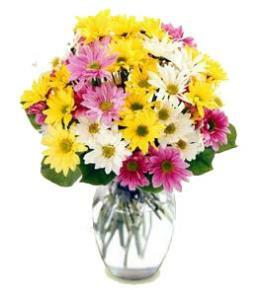 Arrangement Details: Great add ons include a box of chocolates, a teddy bear, and/or some themed mylar helium balloons. 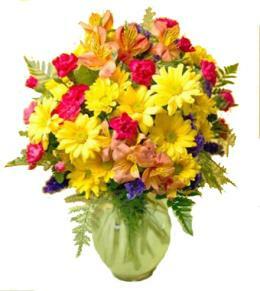 Order flowers online now. 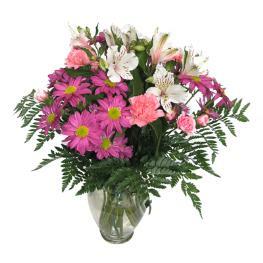 Same day flower delivery almost anywhere in USA and Canada.